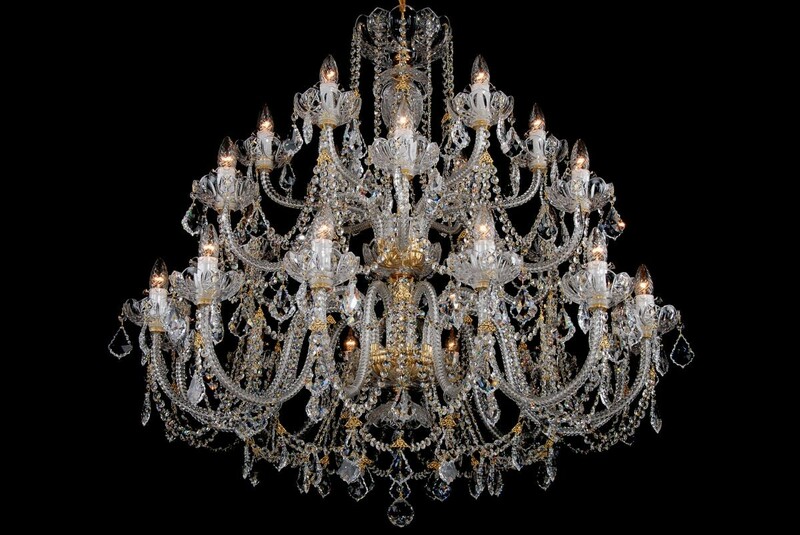 The biggest silver crystal chandelier with 24 arms, decorated with Swarovski trimmings. The chandelier's dishes, bobeches and middle parts are made of hand cut colourless crystal. Hand crafting guarantees originality of each component and therefore these chandeliers rank among the finest products of glass art. 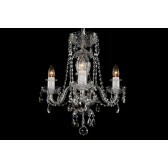 If you wish so, you can combine this chandelier with silver wall lamps that have the same design and the same metal colour. 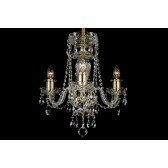 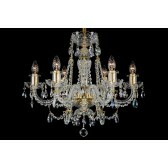 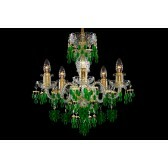 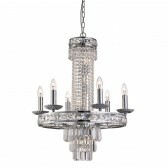 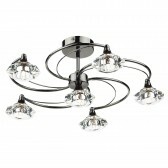 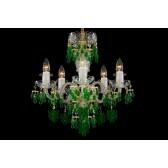 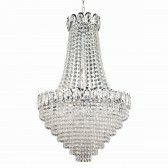 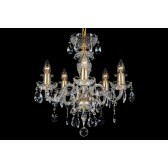 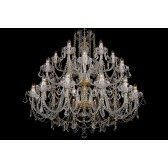 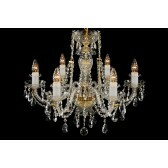 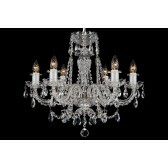 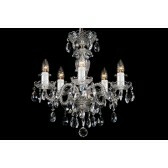 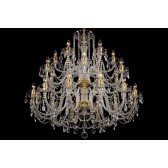 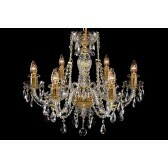 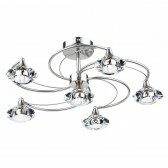 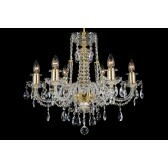 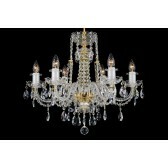 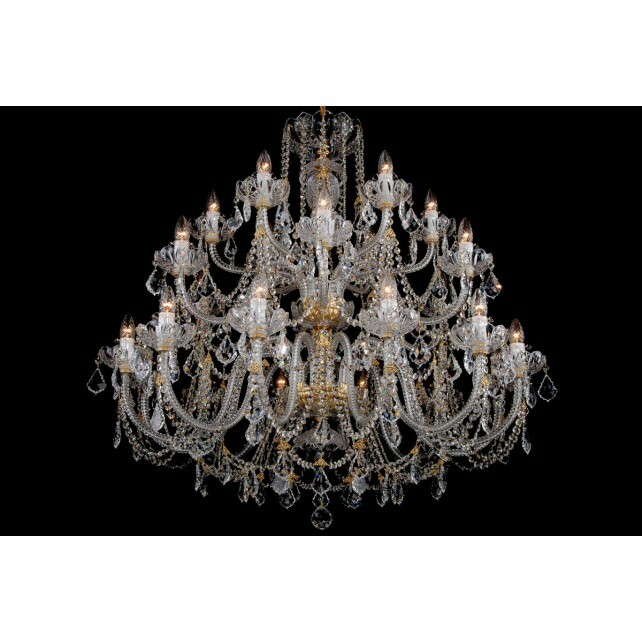 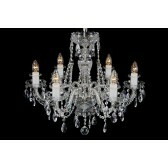 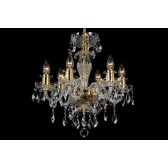 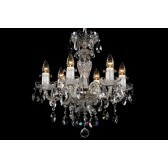 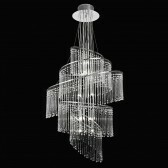 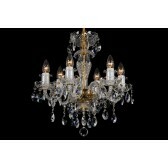 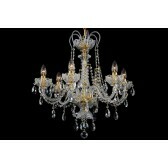 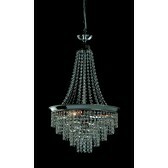 The chandelier can be also complemented by smaller fifteen-arm or ten-arm chandeliers of the same colour.